I’m very excited to share the 9th episode of the Woolful podcast, I really am this excited every week, trust me ;). Today we get to meet two women whom I’ve come to greatly admire, each from opposite sides of the world. Both Karen Templer of Fringe Association and Felicia Semple of The Craft Sessions, focus on intentional making and creating a handmade wardrobe, and that doing so doesn’t take talent, but a willingness to learn. 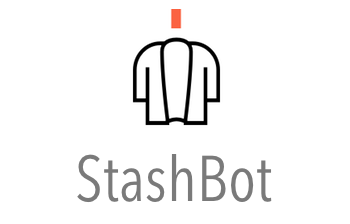 Sponsor: This week’s episode is sponsored by StashBot. 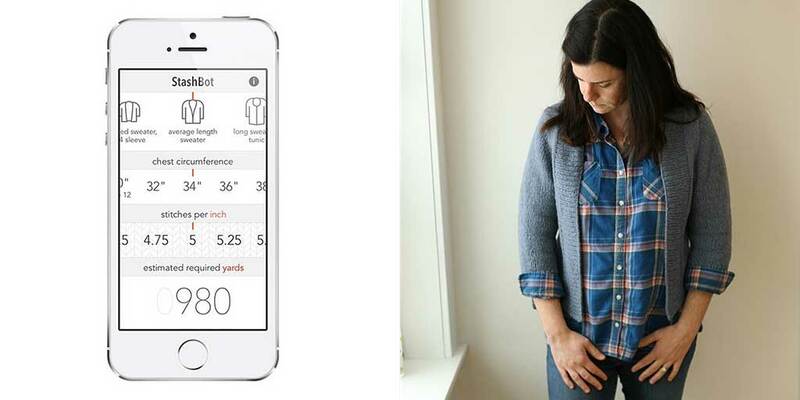 Buy yarn smarter with Hannah Fettig’s new iOS app StashBot. If you find a yarn you can’t live without, StashBot will help you determine how much you should buy. It will pay for itself again and again as it saves you from purchasing more skeins of yarn than you need. Just as importantly it will keep your stash useful as you will be sure to have enough yarn to knit the projects you would like. StashBot will soon be available for Android and is also available in print. For more information head to www.knitbot.com/stashbot. 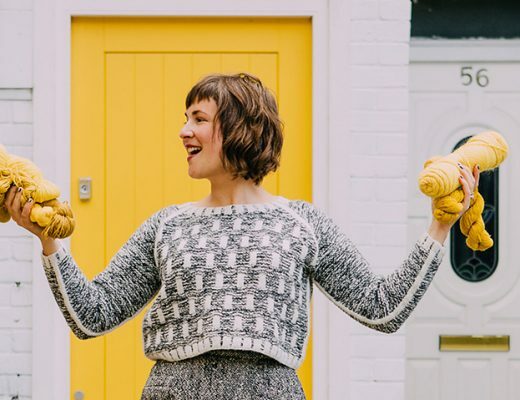 Fiber folk 1: Karen joins us to share her journey from designer to proprietress and her passion for a handmade wardrobe made of things created with intention. You can find her at both fringeassociation.com and fringesupplyco.com as well as on Instagram at @karentempler and @fringesupplyco. Man on the Street: For this week’s “Man on the Street” I asked a handful of fiber enthusiasts to answer the following question, “Share a little about your stash and the goals you have for it this year…”. We had some amazing replies from, Andrea @dreareneeknits, Jennifer @jaykay_knits, and Maria @ninja.chickens. Fiber folk 2: I was first introduced to our next guest via Instagram through a friend nearly two years ago and I remember being amazed by her thoughtfulness in what she made for herself and her family, as well as for a community she was building in Australia, The Craft Sessions. 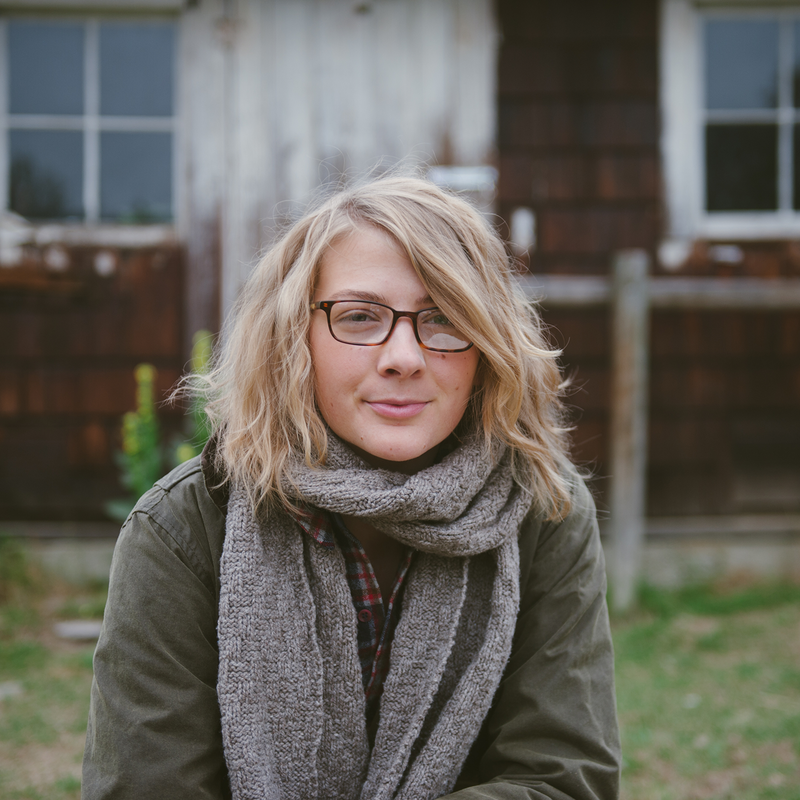 Felicia has been on incredible journey, one that has led her to some amazing discoveries in mindful making. You can find her at thecraftsessions.com and on Instagram @thecraftsessions. Giveaway: The winner of last week’s giveaway, is @dawnincali! You’ve won a skein of both Moeke Yarns Elena and Stela. Congratulations! This week we’re giving away a $25 gift certificate to our first guests shop, Fringe Supply Co. Karen has put together such a beautiful collection of tools and supplies, that I can only imagine it will be hard to pick just what to get! To enter this giveaway, leave a comment below. 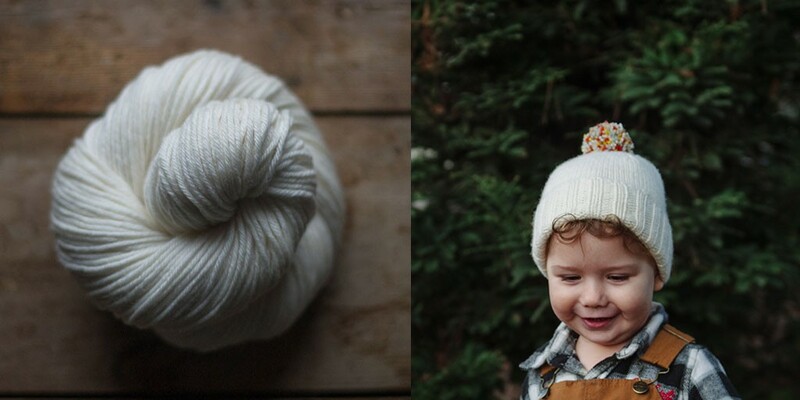 Next week we’ll be starting our February Woolful knit-along, the Little Woolens Prairie Grass Hat. You can find kits that include both the knit along pattern and Cormo yarn at woolfulmercantile.com, or you are always welcome to use your own favorite yarn and grab the pattern on Ravelry. You can find more information on this knit along in our Woolful Ravelry group. I’m a true fan of Woolful, living in Sweden. Love your podcast and interesting guests. Thanks for a great time listening. I’m looking forward to this week’s episode! Also, that app looks extremely useful. I love both of those blogs! Can’t wait to listen to the new episode! I look forward to hearing your podcast every week. You really have great guests. Thank you! Fringe is a favorite! and Craft Sessions – makes me want to move to Australia! look forward to taking a listen soon. You deliver. As always. And the prize this week is lovely. Love this podcast and both of these blogs. Thanks for the weekly inspiration! I am just finding your blog, as well as Fringe and some other beautiful inspirations! Thanks for your lovely efforts…. 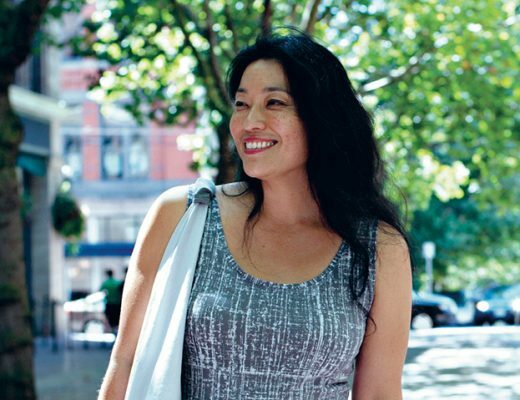 Just listened to Karen’s interview…so great to hear! Looking forward to hearing Felicia later today. Thanks for the great work! It’s 6.30 in the morning. I need to be at work in 40 minutes. And now I can’t wait to come back, grab my WIP and dive into your podcast! Officially addicted. Whoaa! I am new here, but I am definitely here to stay. Wonderfully inspirational people. Thanks again for another wonderful episode, Ashley. I truly enjoy hearing other people’s stories and I learn more about myself from each one. Karen and Felicia’s blogs are two of my favorites so I am really looking forward to this episode! Yay for Tuesday mornings: Woolful and some knitting! Thank you. What a perfect podcast. These are my favorite two blogs that I read daily. So looking forward to listening to this week’s episode (as always). Thanks again for the inspiration you and your guests bring to the crafting community. i love karens blog and would be so excited to win!!! Thank you so much for making this podcast! I’ve learned so much about fibery goodness already. It has quickly leapt to the top of my podcast faves. I was so excited to listen to this episode! Karen and Felicia are such inspirations! What a treat to wake up to a new episode of Woolful! yay! I found your podcast just after Christmas, and I’ve been gradually working my way through, and now I’ve caught up! I love the Fringe Association blog, and need to take a look at the Craft Sessions. What both Karen and Felicia said about being intentional and thinking about what you need really resonated with me. Great job Ashley! Just what I needed on a snowy day! Thanks. And a giveaway from Fringe? Lovely tempting goods. I love Fringe Supply Co and especially Karen’s blog! tuesday is the best day of the week! i discovered fringe supply co. via instagram this winter, and i love the knitting tools i’ve gotten from them so far! Can’t wait to hear Karen’s story! If there’s a better thing to be listening to during a wild and wooly blizzard, I don’t know what it is! Thanks for the perfect snow day company. Love your beautiful podcast! We just moved to Idaho, about 3 years ago now and I love it here. We don’t live north like you do but closer to Boise. I can hardly wait to see your sheep when you get them! Congratulations on getting a beautiful place! I really enjoy your guest this week and took a moment to say Thank you! Just found woolful last night and have been binging the episodes and following all the amazing artists on Instagram. Thank you thank you for the work that you are doing so inspiring and so intelligent! I’m so happy to learn about these two blogs. I’ve drooled over products from Fringe Supply, but hadn’t found Karen’s blog yet- what a beautiful blog, helpful and inspirational. I’m about to move across the country, so I’m working towards paring down the stash (and everything else), and both of these ladies have made me feel much more momentum toward that process! I am new to the fiber world so listening to your podcast has really helped to jump start my developing love of this new medium! This weeks’ podcast was so intriguing and inspiring. I loved the reminder that “nothing is hard, it’s just new”. So true! So lovely this week! I love Fringe Supply and it was so nice to hear Karen talk about per passion. Thank you so much for interviewing Karen! I’ve been dying to hear her voice. I read Fringe Association every day religiously and she has such a good resources of recommended blogs and patterns. Can’t wait to dive into this episode! 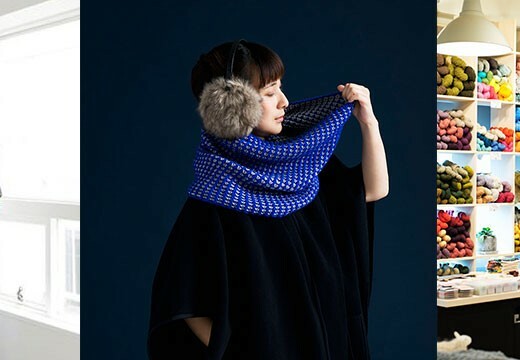 Woolful and Fringe Association have been my two favorite “knitting” discoveries of last year. 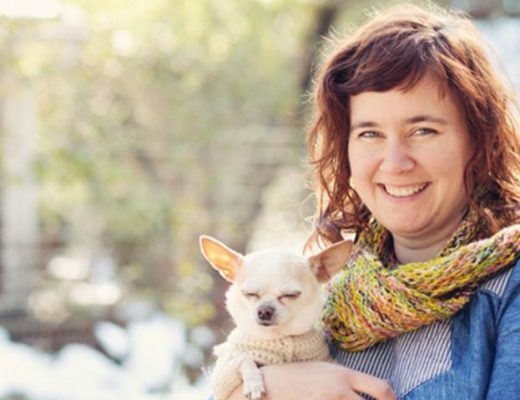 Wonderful way to start my Tuesday- Karen’s blog was the first knitting blog I came across that made me think both “I could make that” and “I want to wear that” about all of her pattern and wool choices. I have been following Karen’s blog for the past year or so and really enjoyed your conversation. It is inspiring to listen to others who have been knitting for less than ten years and are sharing and making extraordinary patterns, yarn and products for all of us. Thanks for these truly enjoyable podcasts! Also, a timely giveaway as I was just wondering if I should make or buy a bento bag like Karen sells at Fringe! Hey Ashley, loved your guests for this podcast. Every podcast you have is like learning how to knit. You learn something new, every time. Love Fringe Supply Co. I read her blog before. Actually got me into knitting sweaters because I was so scared. Keep up the good work. You got me hooked from the first podcast and always waiting for the next one!!!! 🙂 Very inspiring for you to share all this knowledge. what a wonderful podcast and a nice treat to listen to while knitting! So glad to have discovered it. As a new knitter, I loved hearing about Karen’s obsessive entry into fiber. I can relate!! Love these podcasts. Thank you for doing them and for the giveaways! I can’t wait to listen to this weeks guests. I have been enjoying your podcasts and am excited to follow your family’s adventures with the fiber mill. Thank you for the chance to be entered in the give away. Indeed the perfect pair; Woolful & Fringe Assoc! 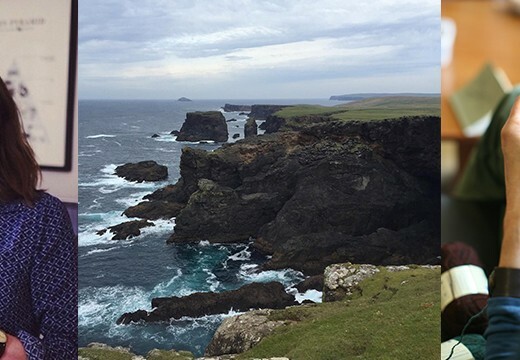 I’m a week behind in listening–just now heard all about Moeke Yarns! But thanks for the opportunities to win! Oh my goodness I love Karen templer! I am a huge fan of Fringe.So cool to be able to put a voice together with the blog. Always enjoying these interviews and the different angles of the fiber community that each guest brings to life. This is my favorite podcast so far (although I say that after every one of your podcasts). I’ve been following Karen’s blog for a long time and to listen to her story was awesom. Felicia’s story was very interesting also. I loved episode 9 – Karen is so inspiring! I’m so thankful for this podcast (and the others) I follow Karen Temple on Instagram and have had the opportunity to learn about her life and history outside of Instagram. It almost feels like we are having coffee together! Woolful podcast is such a treat! It feels like I just had a conversation with close friends and brightens shut in days like today. Thank you all! i love your pod cast, thanks for the give away! This week’s podcast–what an inspiration! I seriously need cull my stash. I also have a sweater I’ve been contemplating ripping out because it has sat in my closet for years. Now I feel more emboldened to do so! Thank you for another great episode! Another lovely podcast! Thank you so much! I thought this podcast was particularly inspiring. I’m a knitter who is also tempted to delve into sewing and have purchased a lot of material for projects that I liked, but I don’t actually turn on my sewing machine for fear of failure, I think. It was a relief to hear that talent is not something I will need, just practice. Thank you. lovely Podcast. Fun listening to guests! Another inspirational podcast. I loved how these two interviewees, with their shared focus on intentional wardrobes, were paired together. I will certainly be taking a fresh look at both my yarn and fabric stashes in the coming days! I’m a huge fan of Fringe Supply Co. so I’m thrilled you are interviewing Karen! I’m looking forward to listening to this episode! I learn so much every time, thanks Ashley! Another interesting episode, thanks so much. Your guests Karen and Felicia were so inspiring. I can’t wait to listen to this while I knit! I’ve been following her on Instagram for a few months now, and it was so wonderful to hear more of Karen’s story! I always look forward to listening to it as a break from college homework. I love Fringe, they have the loveliest selection ! Thanks for another superb podcast! I’m not a huge knitter, but I consider myself part of the fiber community no-less. I’ve caught up on all the episodes while stitching to my heart’s content. Can’t wait for the next one. Thanks for another great episode. They are always so inspiring. I a friend recently told me about your podcast, and I’m hooked. Right now, I’m binge-listening to all the past episodes while knitting a sweater for my dad. I wonder which one I’ll finish first? I’ve just discovered your lovely podcasts and now I’m really addicted! I feel the same about being conscious of what we wear and about this idea of “slow fashion”. I’m trying to buy less, make my clothes by myself (not easy cause I’m a beginner sewer…) and use what I already own in a smarter way. So thanks to you, Karen and Felicia to share your ideas and make me feel part of a community! Really looking forward to this episode! I love Fringe Association and the app already! I am so happy I have found this site and podcast! I am an avid reader of Karen’s blog and just received my first order from her store the other day. It was very nice to hear her journey. And thank you for introducing me to The Craft Sessions! What a nice experience. This is my first time listning to your podcast. Now I just feel like snuggling up in my knitting chair with my head phones on and take them all in a row 🙂 So nice to being part of an international community just by listening. Uh, and I would love to win. Of course. I loved this episode so much. I am a big fangirl of Fringe and was excited to be introduced to the Craft Sessions. Everything she said really resonated with me. Woolful is like a big warm hug on a snowy day. Thank you for all you do for this community of fiber folk. Wonderful episode, enjoyed it a lot. Thank you! Thank you for these very enjoyable podcasts! I just discovered your podcast and am hooked! These ladies are amazing and I’ve been stalking their IG accounts :-). Thanks so much for connecting everyone the way you have! I really enjoyed this weeks episode. Thanks for introducing us to all of these amazing people! found you through Fringe Association and I’m so excited to listen to all your back episodes! I love all aspects of fiber, and am so glad to hear such a range in your podcast. Also excited about the prospect of a giveaway. Thanks so much! I loved the discussion surrounding the general cultural belief that you must be talented to successfully make something beautiful, especially this bit from Felicia, “Often what they’re lacking is the belief they can do it.” There is nothing more satisfying than to teach someone with that mindset to knit–and watch them fall in love with the process. Loved hearing from both Karen and Felicia! I started listening to the podcast about four days ago and I’m disappointed that I’ve already caught up! Its been so motivating and inspiring to listed to while I work and the breaks I take away from my weaving are filled with looking up someones instagram or to google more information on cormo sheep of woofing opportunities. Can’t wait to see what’s in store for the future! Wow!!!! Very inspiring podcast. This is my first time here, but it definitely won’t be my last. I loved every second. Karen and Felicia have no idea how much they have inspired me. A big thank you all for a very professional podcast. Loved hearing more of Karen’s fibre journey and I totally relate to the notion that crochet is an easier fibre craft than knitting for a child as that is how it was for me. Great podcast! I love both of the ladies featured in this episode. Thank you for such interesting interviews on your podcast and the chance to win a prize! Wonderful as always Ashley! There was so much that I could relate to this week. Found myself nodding my head to Felicia as I finished listening tonight while making dinner. Thank you for all your hard work – you are a true inspiration. I love Fringe Supply Co. and would love the opportunity to receive a gift card! Thank you, Karen and Ashley! What an utterly brilliant app is StashBot. I loved hearing Karen mention that nothing in knitting is “hard”, it’s just “new.” Just twisting yarn around needles different ways…..Love that! Thanks for the wooly inspiration. I love the idea of an intentionally handcrafted wardrobe! I truly enjoyed listening to this episode. These ladies are both wonderfully inspiring! Thanks for a great podcast. I can’t wait to have that app. I love Fringe Association, Karen you are an inspiration! Loved this podcast! I follow both already for a long time. I am enjoying your podcast very much. Thanks for the give away – I would love to get some things from Fringe Supply. These are my two most favorite blogs that I go to first everyday. Thanks for another great podcast! I really enjoy Woolful and how it goes into the motivation and philosophy of different makers, and I’m always learning from each episode! I recently found your podcast and love listening. Loved some of the new ideas from Karen. Making clothes you want to wear! Brilliant. Lovely podcast! Thanks so much for curating such a great show. Once again thanks for this great podcast to all three of you. Great to hear such inspiring stories! Another great week! I like to listen while I am knitting. Weird? I don’t think so! Enjoyed the podcast! That app is fantastic – I just purchased it last week. A fantastic stash tool! I listen to this podcast while I am at my day job and it just takes all the pain of the mundane away! I am so inspired by the time I leave work that I have new-found energy to keep working on my pieces when I get home. Thank you for developing this wonderful podcast and sponsoring such a wonderful giveaway! Really enjoying your podcast. Happy Knitting! I listened to each of your podcasts, keep us inspired! And when I started to hear the first podcast, it felt like an invitation, I was not alone anymore, like a door open to learn more. I am so greatful of how people are willing to share and spread their love, to educate and inspire others like me. Just found the podcast and I’m loving it. I also really enjoy seeing your Instagram posts. So inspiring! Yet another wonderful podcast with such valuable information. I so love listening while I spend time at my spinning wheel……..perfect combination! I found your podcast a few weeks ago, and have been enjoying each episode. Thanks so much for the interview with Karen of Fringe Supply. I want to buy everything on the Fringe website – literally everything. Love it! I really enjoyed this episode! I have followed Fringe Supply and Karen ‘ s blog but it was very special to hear her speak about her experience with the fiber world. Both Karen and Felicia had interesting stories to share. I’m finally caught up with prior Woolful podcasts so I am excited to listen to this one soon! I’ve seen the phrase handmade wardrobe kicking around recently and I am very intrigued and will have to think how to apply that to myself besides just knit accessories. Thanks for a very inspiring episode! I just love the generosity of this community. 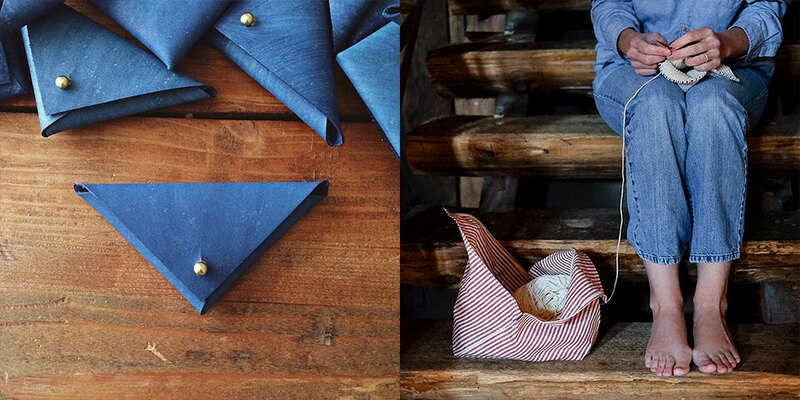 Craft inspiration and life inspiration. Beautiful blog, beautiful podcast, beautiful giveaway! Thank you for the opportunity, Ashley! I am so grateful for this podcast and love to hear all of your interviews, but I was especially excited about this episode as I am familiar with Karen and Felicia and am a big fan of both of their blogs. How inspiring- thank you! Love the podcast. Very heartening to hear the discussion about talent not being required to create something beautiful. Just willingness to try and practice. Thank you. I learned so much as a participant in the Fringe & Friends knit-along. Karen is right–the appeal of knitting is ALWAYS LEARNING. I am blown away by this podcast. Karen // Fringe Supply is so wonderful and I will gladly enter the giveaway and hope to receive a gift card to her shop. Eep! Love the podcast. Thanks for a chance at such a great giveaway! Wow! I’ve never listened to the podcast before and I got sucked in as an avid Fringe Supply Co fan. I loved it! I will be listening to the previous podcasts I’m sure. Listening tonight! Following on instagram, too. Love Fringe! This was my first Wooful podcast and I thoroughly enjoyed it! Karen and Felicia were both fascinating to listen to and I have since spent several hours reading both of their blogs. Thanks so much for sharing them with us! I will definitely be listening to more Woolful podcasts! A great podcast featuring two amazing women. Thanks for doing this! Oh I love me some Karen-curated goodness! Thank you so much for putting together this awesome podcast every week. It makes my day! Such a wonderful podcast. I would take notes if I wasn’t compelled to knit all the time during the podcast. As a new knitter and lover of wool, I really love these podcasts and learning all sorts of new things. Fringe Association has quickly become one of my go-to blogs to read every day and it is so awesome to hear you speak to Karen. Knitting really has become my ‘quiet place’ and I find myself diving in deeper learning about all these designers and makers. Thank you! Wonderful podcast this week. Keep up the amazing work. Thank you for another inspiring episode. I find myself waiting for the next one every das and really savouring that wait. I’m a huge fan of Karen’s and am so happy you are interviewing her on your podcast! I love listening to Woolful (while knitting of course)! What an inspiring Episode. I follow you on Instagram but it is the first time I visit your blog . I will be coming back for sure . Came across your blog via Instagram. I’ve been recently obsessed with knit ting would love to take it further to fitful my dream of opening an etsy store! I’d love to make handmade things for friends, family, and eventually sell it for everyone else to have handmade goods! It gives me such an accomplished feeling to make something out of nothing but yarn, needles and my hands! Came across your blog via Instagram. I’ve recently been obsessed with knitting and would love to take it further to fulfill my dream of opening an etsy store! I’d love to make handmade things for friends, family, and eventually sell it so everyone else can have handmade goods! It gives me such an accomplished feeling to make something out of nothing but yarn, needles and my hands! Wonderful and inspiring as always! I am so thankful for these podcasts! Thanks again for an amazing episode! I loved hearing both stories but especially Karen’s journey. I am a long time crocheter who is just learning to knit and it’s great to hear how other people started. love your podcast! thanks for the chance to win! Thanks again for another lovely episode! Love Fringe! What a great episode. Really enjoyed this week’s podcast! I loved the talk on “talent”. Ashley each week your podcast is so consistently good! Thoughtful interactions with thoughtful folk. So much to learn and so much to enjoy and savor. My only difficulty is the increasing number of places I would like to visit! Your guest choices remain excellent. Both guests were very thought provoking and sometimes quite amusing. Felicia’s comments about stash resonate with what I have been feeling for some time; it is good to know that I am not alone. My efforts to reduce stash are seen by some as puritanical, by others as an economic threat. Thanks for the moral support! I was living parallel life to Karen, toying with knitting on clicky old aluminum and brown acrylic, not catching the bug for another 25 years, I too studied Graphic design on the cusp of computer age: I loved the wax machine and the physical act of building design. Once computerized I realized the field was not for me- impressed she stuck it out- I ended up somewhat happier in product development and catalog buying for a museum. Thanks for the episode, Woolful! I enjoyed listening to Karen Templar and Felicia Semple’s stories. I found learning to knit could be a little dull. When I learned, I chose a scarf pattern that had a few changes to it to keep me interested. When I teach knitting, the worst thing I can do is teach people to make a scarf they don’t want to wear or gift or finish. But, I am one of those people who doesn’t have the jump into it gumption with my knitting. Sewing, yes. Knitting, no. I’m inspired to try something. What’s the worst that could happen? I frog it? It is so refreashing to hear someone openly talk about yarn, fibers and knitting the way I think about it. I love the podcast and feel like I’m not alone with my knitting thoughts anymore. Thank you so much. Thanks again for another great podcast! I love the podcast and the kits are so cute! Thank you for bringing such inspiration into my life every week! I have been introduced to so many beautiful makers and goods through you. And you also reminded me to purchase the Stashbot app for my phone, so thank you for that, too! I loved this podcast. Feiicia inspired me the most and while scanning her blog I realized that I met her at my visit at Squam. The funny thing was…I just added some buttons on a sweater that one of her Squam roommates from the Nirvana cabin gave me. Brienne was featured on her blog. The world is such a small place, thanks again for the amazing inspiration. Can’t wait til next week! PS Look into a story about the John C Campbell folk school near Western Asheville. They teach all sorts of fiber crafts such as weaving, spinning, natural dyeing, knitting and crochet. The woman that heads the department Martha Owen raises her own sheep. 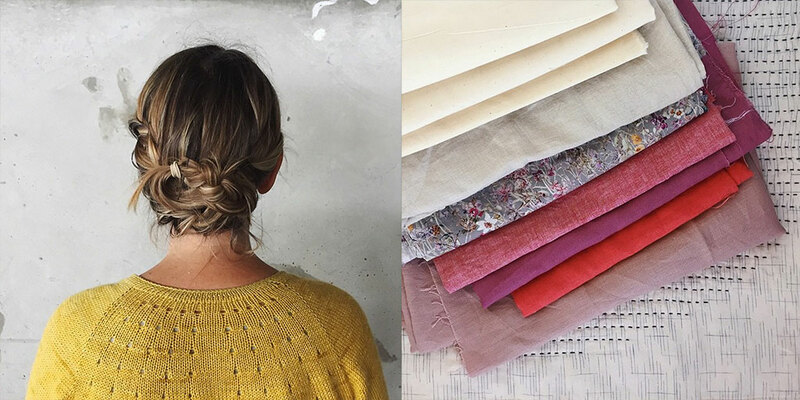 She then dyes the wool, spins the yarn, and creates beautiful sweater for her family and friends. She also owns a local yarn shop in the area. She would be perfect for you of your podcasts. I wish I could send you some pictures of some of the sweaters she made. They are utterly amazing!!! I love both of these two women! Thanks for another amazing podcast! Love your podcast! I am also a fan of Fringe Supply co! It is so nice to hear similar thoughts on knitting. Thank you! One of my favorite episodes so far! Thank you Ashley for all you do! Wonderful episode, thank you so much for opening up the world of amazing people out there who feel the same way as we do. I have been really enjoying your podcast. As a new knitter it has been so educational. Keep up the good work !!! This has probably been my favorite episode yet! I love Karen Templer. I had never heard of Felicia but I went right over and started following her blog! Thanks for introducing me to all kinds of wonderful fiber people! This episode really inspired me to want to knit a sweater. I have been intimidated by that but these 2 awesome women and you of course have inspired me to try it out sometime! Maybe I can start with a child’s sweater? Anyway keep up your awesome work! I absolutely love this podcast! It makes me feel so connected to other fiber lovers out there. I’ve finally listened to all the episodes, so I can’t wait for the next one to come out. Thanks for sharing all the fiber love! “Master of my closet” what an incredible idea! Can’t wait to purchase some items from Fringe! This week really resonated with me as I had myself been thinking about not just jumping on the bandwagon of the next cutest thing. I need to put sometime into thinking about what I need and want to wear then knitting and making those items. I loved this podcast! Fringe is one of my favorites! 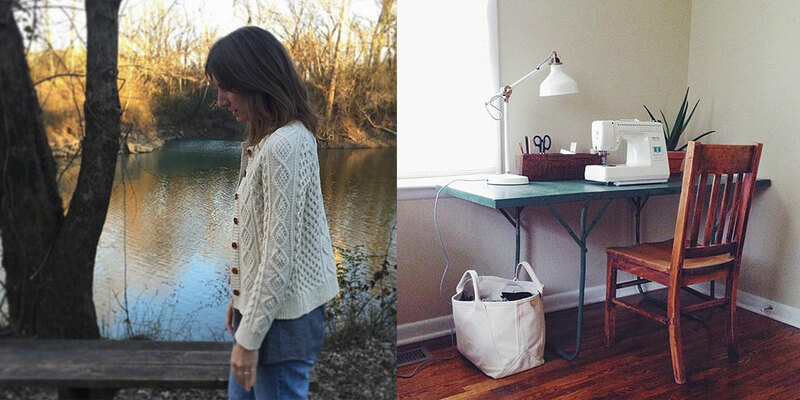 My two favourite bloggers/knitters/fiber folks in one episode! Thank you so much for sharing all your inspiration! I love hearing about all the different fiber communities profiled in the show! Who would have thought somewhere as warm as Nashville would have a big fiber scene. 🙂 Great episode this week. Great as always! And grateful for that you put down so much work, effort and love into this – thank you! Thank you for this podcast. So inspiring and interesting! I recently discovered your podcast, blog and Rav group, thanks to a friend. I especially appreciate your efforts to use local products and am further inspired to work from my stash. I enjoy browsing thru the links too. Lots of great info. This was my first time listening to Woolful. I really enjoyed it. Thank you for sharing your thoughts and connecting me to amazing people. I really learned a lot. I will definitely subscribe. each time I listen I think “this is my favorite episode yet!” — but truly I think this one has resonated with the most because I’m currently exploring my own pathways to an intentional, handmade wardrobe. Also, I believe we met at the Wool Symposium this year — I was wearing a white & black knit cardigan which unfortunately is not handmade because everyone was complimenting me on it! I later realized that I already followed you on instagram. so, anywho, belated fangirl moment. Would love to hear more local Fibershed folks on Woolful though! Great episode! I would love to win a gift certificate to Fringe Supply Co! My projects are in plastic zipper bags. Ugh. I love listening to the podcast. So enjoyed hearing from these lovely ladies – their stories and ventures are inspiring. It’s been so much fun listening to these lovely episodes while casting on for a sweater. I’m new to knitting and really enjoy hearing the perspectives from those who’ve been at it a while. So enjoy the Woolful Podcasts and especially enjoyed this week’s podcast. I follow both Fringe and the Craft Sessions blogs. I would put the gift certificate to good use!! I LOVE your podcast. Tuesdays have become my new favorite day of the week. I make a cup of tea, get out my latest knitting project and am completely transported by the stories and interviews and insights. Thank you for doing this Ashley. Thank you for a Fabulous podcast! I enjoyed listening to your interviews of Karen and Felicia. They are both very inspiring, and the interviews are focused and informative. just finished your podcast. quite enjoyable on a snow day! thanks. Thank you for another inspiring podcast! I look forward to a new episode each week. I was spoiled at first since I had several to listen to in a row since there were several posted by the time I found out about it. You’ve made me really think about my fiber, yarn, and fabric stash, and where it comes from. This weeks’s guests have me thinking about if I’m being very responsible with what I have and contemplating how much I have that I can make without buying more. I like the idea of using what I have and just buying the patterns, notions, buttons, and bits, but using what I have. I’m planning now on buying yarn if I do that I know the history or story of how it came to be. The idea of super wash wool makes me cringe at the idea of the plastic coating it has now. I just don’t see myself buying it anymore. The guests this week talked about sewing too. I’ve been sewing for about 45 years since I learned when I was 8. This lead me to think about fabric, and about buying organic, responsibly grown cottons instead of mass produced yardage. That being said, I have plenty to work through first. Your podcast is pushing me to re-evaluate, set limits, and rethink priorities. Thanks so much for all the time spent putting your show together. I just love your podcast. I LOVE the project bags and her yarn!! She has such beautiful things in her shop!! Just found your podcast and I’m loving it! Keep up the great work. Best, H.
I came across you this week via Instagram and am so glad that I did. Absolutely love the podcast and look forward to hearing more! Love the podcast and follow the Fringe blog. There lots of great stuff there that I would want. Thank you for all the late nights print this podcast together. I am continually blown away by the magnificent, thoughtful people you bring into my life while I listen to their stories. My grandmother taught me to knit when I was 8 but it wasn’t until I became a mother that I truly found joy in it. Your podcasts remind me that I belong to a special community. Thank you. Brilliant pod-cast this week, as usual. This pod-cast has become one of the highlights of my week. Thank you! thanks for all your hard work making this podcast. it’s completely reinvigorated and refocused my love of knitting and inspired me to try my hand at a bunch of other things! As always, I enjoyed your podcast tremendously. I bought Stash Bot, and the pattern e-book by Hannah after listening. Thanks so much!